With the rise of SaaS and IoT, edge computing, a way to place data closer to its point of use, is moving into commercial buildings. Edge computing is moving into commercial buildings. Manufacturers and retail establishments already are using this information road less traveled. 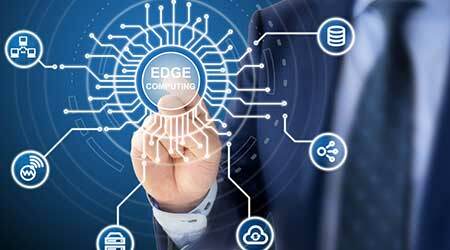 While the experts aren’t saying edge computing will penetrate the commercial building marketplace tomorrow, they are quick to note edge computing will be handling data from billions of devices and sensors by 2020. “Edge computing is a way to place data closer to its point of use, thereby reducing latency and cost,” says Tim Kittila, general manager, data center, Parallel Technologies. Partially, this rapid penetration is because edge computing is mature by computer development standards, which often is measured in months. More importantly, Internet of Things (IoT) devices are so numerous that they’re clogging cloud and web services with data. Not to mention that video streaming, which helps catch criminals in the act everywhere from the local convenience store to the multi-story high-rise building, does so by employing phenomenal amounts of bits and bytes. Before IoT’s proliferation, everyone became accustomed to the nearly instantaneous results of modern compute speeds. Today, so much data streams across the Internet, flowing into and out of web servers and the cloud, that traffic is getting bogged down on the information superhighways. 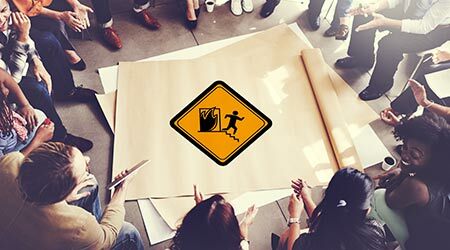 For commercial buildings, the tremendous data traffic jams may be due at least in part to what the experts call “shadow IT.” Basically, shadow IT refers to information technology products and software services that are managed outside the main IT network and without the IT department’s knowledge. Initially, shadow IT consisted of software purchased by employees to make their jobs run more smoothly. As IoT began permeating the consumer market, a wide variety of cloud file sharing, social media, and collaboration tools began moving essential business data, according to cybersecurity firm McAfee’s Skyhigh Network. The myriad individual apps and software now are clogging data highways, creating latency and cost issues as well as increasing cybersecurity risks. To ensure that such apps and SaaS products are compliant and secure, the IT department can block cloud or web service access. “However, for every app that’s blocked, there’s evidence employees are finding other, lesser-known, potentially riskier services to use in its place,” notes Skyhigh Network’s website. Video streaming companies like traditional cable and Netflix already are combating this dilemma by returning to what was called “batch computing” when mainframes got bogged down decades ago. “They are piecemealing their most demanded content at edge hubs, so that it starts instantaneously,” explains Kittila. Meanwhile, the next piece is downloading in the background so the video stream appears continuous.